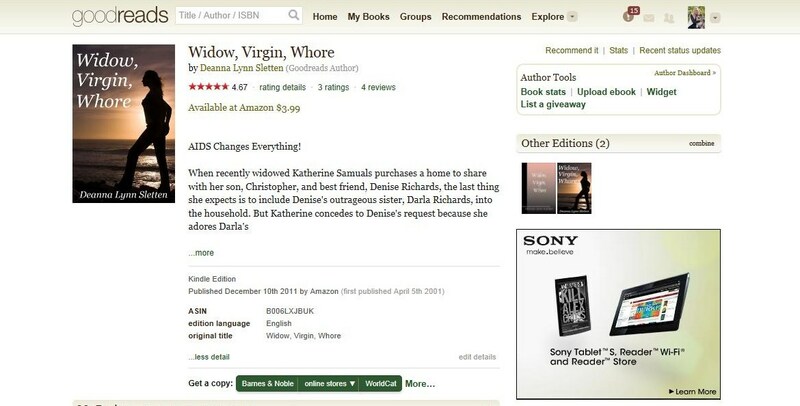 Deanna Lynn Sletten: Widow, Virgin, Whore Getting Great Reviews! 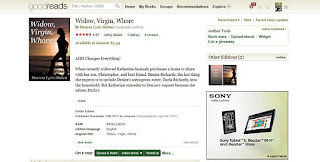 Widow, Virgin, Whore Getting Great Reviews! Widow, Virgin, Whore has been available in eBook format for about 5 weeks and is already receiving some wonderful reviews from readers. You can't imagine how good this makes me feel. You can read the reviews by Dianna, Val and Ruty on Goodreads and Crystal wrote a nice review on Amazon. I am so appreciative of their kind words - they inspire me to continue writing. I waited a long time to get here - I'm so happy it's finally happening! If you are looking for a heartwarming book to read with women characters you can relate to - I hope you will download a copy of WVW. It's available on Smashwords in all e-reader formats - on Amazon for Kindle - and on Barnes & Noble for Nook. Outlaw Heroes February Free Giveaway Fridays! Ooops! Those Typos Get You Every Time!